SmichelleR256 Passed my road test on Tuesday and went and picked up my temporary license today! All your videos helped me out so much! Hi SmichelleR256 - that is a awesome news; what a great Christmas present. Thank you for letting us know, and you are most welcome. I'm sure you are going to have a big celebration, and it is well deserved owing to your practice. If there is anything further we can do, drop us a note. Always happy to help. Enjoy your newly earned freedom. All the best, Cheers Rick ? Janice Walker thanks God I pass my road test a week ago and I was not really practicing I memorize the procedures I fail 6 times before and I prayed people just relax . Hi Janice Walker - that is a awesome news. Thank you for letting us know, and you are most welcome. I'm sure you had a big celebration. If there is anything further we can do, drop us a note. Always happy to help. Enjoy your newly earned freedom. All the best, Cheers Rick ? Hey rick just passed my road test thank you for all the videos. daveveda20 binged watching your videos, tomorrow is my test so I'm nervous however I'm determined to pass. Smart Drive Test I passed! Thanks for the informative videos . you're set apart from the rest, your videos left no room for error, giving me a high chance of passing. An must I say a galore of options. any questions I needed explained or instructions you made it so understandable ,Once again thank you. Hi daveveda20 - that is a awesome news; what a great Christmas present. Thank you for letting us know, and your exemplary compliment. I'm sure you are going to have a big celebration, and it is well deserved owing to your overcoming nerves. If there is anything further we can do, drop us a note. Always happy to help. Enjoy your newly earned freedom. All the best, Cheers Rick ? April's Crazy Life My test for my G is wed close to noon I have been driving for a few years but I did get a teacher to help if I needed someone help in areas I have been trying to get out as much as I can the test is in a city and I live in town and there has been a lot of snow but i am trying my best to get a lot of practice in I know I will do well but I bad nervous so I hope that goes away. Hi April's Crazy Life - that is a awesome news. Thank you for letting us know, and you are most welcome. I'm sure you had a big celebration, and it is well deserved owing to your study. If there is anything further we can do, drop us a note. Always happy to help. Enjoy your full "G" there in Ontario. All the best, Cheers Rick ? Dylan Pancake I passed Rick, I passed. Wasn't easy, was more nervous than I have ever been, but Rick buddy, I PASSED!!! Only thing is I can't see my score on my sheet, I think it got cut off, do you know how it's graded because I think I looked over and seen a 92 and on my sheet there is 8 things marked wrong, so idk, could I call them? thanks anyway though Rick so glad it's over. Dylan Pancake - that is a stellar news my friend!! Thank you for letting us know, and you are most welcome. I'm sure you are going to have an enormous celebration, and it is well deserved owing to your overcoming nerves and great performance. If there is anything further we can do, drop us a note. Always happy to help. Enjoy your newly earned freedom. All the best, Cheers Rick ? Marko Zlomislic I just took and passed my G test today, these videos really helped as refreshers for all the techniques! Hi Marko Zlomislic - that is a awesome news. Thank you for letting us know, and we're happy to hear the information helped out. I'm sure you are going to have a big celebration, and it is well deserved owing to earning your full license. If there is anything further we can do, drop us a note. Always happy to help. Enjoy your newly earned freedom there in Ontario. All the best, Cheers Rick ? Aditya marindra Hi Rick, I've just passed my road test today. Thank you and appreciate for your help on this video. Although it was snowing, the road test went very well. Thanks again!! Hi Aditya marindra - that is a awesome news. Thank you for letting us know, and you are most welcome. I'm sure you had a big celebration, and it is well deserved owing to your doing the test in the snow. If there is anything further we can do, drop us a note. Always happy to help. Enjoy your newly earned freedom. All the best, Cheers Rick ? Victoria Wisniewski I just wanted to say thank you for making these driving videos! I failed my first time and then went on YouTube and found your channel watched all your drivers test videos before I took my second test and I passed! Hi Victoria Wisniewski - that is a awesome news. Thank you for letting us know, and you are most welcome. I'm sure you had a big celebration, and it is well deserved owing to your determination. If there is anything further we can do, drop us a note. Always happy to help. Enjoy your newly earned freedom. All the best, Cheers Rick ? A W I pass finally today in Surrey B.C after 4rd try! Thank you. Hi A W - that is a awesome news. Thank you for letting us know, and you are most welcome. I'm sure you are going to have a huge celebration, and it is well deserved owing to your perseverance. If there is anything further we can do, drop us a note. Always happy to help. Enjoy your newly earned freedom there in Surrey. All the best, Cheers Rick ? Nakana Ric Thank You!!!! I FINALLY PASSED!!!!! I WATCHED MOST OF YOUR VIDEOS!!! THEY WORK!!!! SALAMAT, GRACIOUS, THANKS! Hi Nakana Ric - that is a awesome news. Thank you for letting us know, and you are most welcome. I'm sure you are going to have a big celebration. If there is anything further we can do, drop us a note. Always happy to help. Enjoy your newly earned freedom. All the best, Cheers Rick ? HeyItsShanice I passed my drive test today in the U.S. with your help! I appreciate you so much!! Hi HeyItsShanice - that is a awesome news. Thank you for letting us know, and you are most welcome. I'm sure you are going to have an enormous celebration, and it is well deserved owing to your overcoming nerves. If there is anything further we can do, drop us a note. Always happy to help. Enjoy your newly earned freedom there in the United States. Which of the great states are you in? All the best, Cheers Rick ? Hi Aziz Saad - that is a awesome news. Thank you for letting us know, and you are most welcome. I'm sure you are having a big celebration, and it is well deserved due to passing first time. If there is anything further we can do, drop us a note. Always happy to help. Enjoy your bigger freedom there in Ontario. All the best, Cheers Rick ? Hunter K Hey Rick, just passed my road test Monday! Have to thank you a ton since your videos calmed me down for the test, and during ( especially taking those deep breaths ). Thanks again! Hi Hunter K - that is a awesome news. Thank you for letting us know, and you are most welcome. I'm sure you are going to have a big celebration, and it is well deserved owing to your overcoming nerves. If there is anything further we can do, drop us a note. Always happy to help. Enjoy your newly earned freedom. All the best, Cheers Rick ? Serge Kudinov Passed my drivers in Sep 2017 in Montreal. 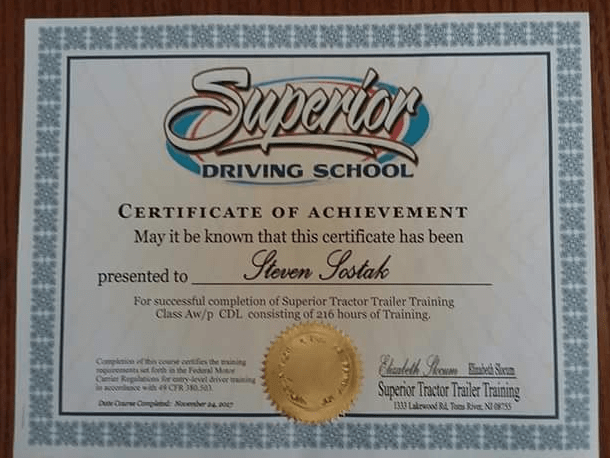 It was my 3 attempt so I said screw it and was telling the instructor what I was doing out lout, "speed check", "distance check" "mirror, signal, shoulder, again shoulder and turn check" blew the exam out of the water, perfect score, thanks Rick !!!! MegaGeckonator Thank you so much, Rick! I watched your videos obsessively for the past 24 hours, this one especially, and finally passed my fourth attempt at my road test today. I kept yelling in my head during the test 'I can do this! I am a safe driver!' and it helped. Thank you, thank you, thank you. Diamond Shines First, I want to thank God that you helped us how to pass the road test. I am so happy that I passed for the first road test. I followed all of your advices step by step to be a better driver. All of the instructions you gave us really helped. Thanks Rick! God bless you very much. Hi Diamond Shines - that is a awesome news. Thank you for letting us know, and you are most welcome! I'm sure you are going to have a huge celebration, and it is well deserved due to your passing the first time. If there is anything further we can do, drop us a note. Always happy to help. Enjoy your newly earned freedom. All the best, Cheers Rick...God bless! AmandaRina Road test tomorrow morning @9 ! Your videos are helpful but Am I ready? I'll update you!..? Smart Drive Test I passed ! Thank you! Best feeling . Can't wait for the hard copy! Take care ! Rila _ Yaaaay !I passed my test today..
marilyn zurati Hi Rick! you are probably tired of hearing it, but I really appreciate you taking the time to help us with your driving videos. Thanks to you, I also passed my driving test. You are a YouTube HERO! from Los Angeles California ? Matthew Oakes Your video helped me pass my Road Test. I took my Road Test on October 28th and I passed it my first try. Thank you for the awesome video. faith RICK THANK U FOR HELPING ME PASS!! YOU'RE A REAL LIFE SAVER! JF Nicole Quiben Thank you so much for all your tips! Passed my road test here in Burnaby, BC. I’m forever grateful. Thank you once again for creating these awesome videos. Analytically Sound I passed my test on my third try recently. Thanks for all the helpful videos. Cheers! Hey Rick !!! Got my Class 1 with F and M endorsement!!! U were a big help!!! Thanks a bunch!!!! Do u have any backing up tractor trailer videos? Carlos E. Torchia I failed my 3rd attempt at my BC class 7 license (passed on the 4th) about a year ago because I failed to stop when the left lane of traffic was stopped at an intersection, and I went thru in the right lane. The driving examiner said that even though I had a green light, it is required by law to stop. You don't know, there could be a small child crossing the road in front of the stopped cars. Jasleen Abaya Thank you so much for this video! It helped me out a lot. I took my driving test today and passed with only 2 errors. 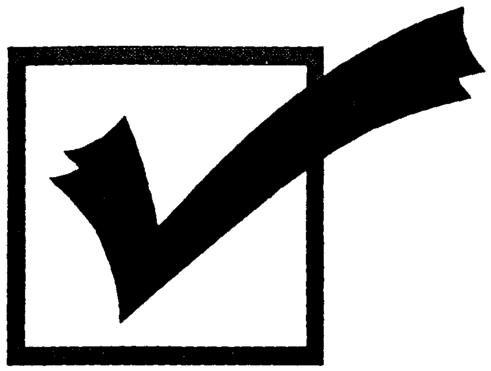 I kept telling myself exactly what you said, “I can do this” and also “I am a safe driver” and I think saying those things to myself made me feel a lot calmer and comfortable during the exam. therie 0911 Thank you for your effort to make videos to help people like me who wants to pass the driving test. I passed my driving test earlier. To you who are going to have their driving test soon, it’s normal to get nervous but know that u got this. Just feel confident, tell yourself “this is my last chance, there is no next time”. Move your head as u scan and shoulder check and of course pray. Road test tomorrow, very nervous but your videos are really helping!! GrandAlchemist Hey Rick, had my road test yesterday and passed. Thanks for your videos, and livestreams. The knowledge you bestowed on me really helped wrap my head around the subtleties of safe driving. NORA DERBENE Thank you so much for your videos I passed today my driving test for the first time. Your videos were so helpful for me thanks again. Zahra Merchant Thank you for these awesome videos (and I mean all of them)!! Definitely passed my driving test because of your videos and a lot of practise. It is absolutely necessary to know the theoretical bits to learn the skill of driving efficiently! And what better way to learn than someone driving himself in a video rather than just talking about it or reading from somewhere. Thanks for the verse Mirror-Signal-Shoulder Check! Smart Drive Test I PASSED!!!!!! Thank you for the luck!!! Alee Lizz KingZaytinFlims did you pass ? KingZaytinFlims Alee Lizz I️ passed I’m really hype ??? Lupita Garcia I've been watching your videos My test is tomorrow I am so nervous? wish me luck!!! Sarah Kambazza Hello Rick. I passed my test . Thank you for your videos ?? Della Besong Hello Rick, thank you for what you do. I thought I should let you know that I have passed my road test on my first try applying your strategies. I am from finland. Wireless Writer Take your instructor with you on the test, I didn’t for the first 4 times and failed, when I took her with me I passed as I felt so comfortable and relaxed and remembered more about driving. Thought I would feel more nervous but was complete opposite. Basit Qazi Hey Rick. I know its been a while but I just wanted to say that I did drive in the rain at night. Lets just say that I did get into a little bit of road rage because someone kept honking their horn at me when i was stopped at a yield sign. Since there was other traffic coming once i made it through the sign he still kept on honking which I dont understand why. Do you know any possibility of why sone drivers do this? Or is it the fact that some people are just impatient? Also my next road test is this coming Friday. Smart Drive Test Hey Rick. The good news is I passed my road test today. Thanks so much for all your help with parallel parking and left turns. I really enjoyed watching your videos because you taught me so much. Im going to enjoy my new freedom. I will also recommend your videos to some of my family members that are learning how to drive. Learn how to create a YouTube channel that will provide a full-time income - watch the video.